Participants during this year's edition of Storyworks at the University of Malta - Valletta Campus. 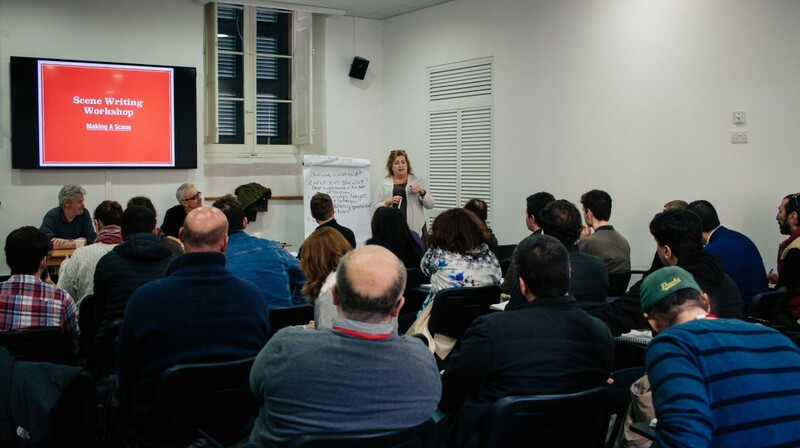 Storyworks, the script writing course organised by Valletta 2018 in collaboration with the Malta Film Commission, Arts Council Malta and Spazju Kreattiv, is currently underway at the University of Malta – Valletta Campus. 12 writers, 12 creative collaborates and six MCAST lecturers are currently undergoing intense training on screen writing. Storyworks is a programme focused on developing film scripts. Participants improve their screenwriting skills while their projects receive expert guidance. The ultimate goal for each project is funding and production. A free public seminar is also being organised at St James Cavalier, Cinema titled ‘The Next Stage: Taking the Script to Market‘ on Sunday 20th March at 9am.